Windlab is set to begin construction of the $160 million Kennedy Energy Park hybrid renewable energy project, after securing financing from the Clean Energy Finance Corporation and the Australian Renewable Energy Agency. The project is owned by Kennedy Energy Park Holdings, a joint venture between Windlab and Eurus Energy Holdings Corporation of Japan, and reached financial close this week. Windlab will act as owner’s engineer during construction and will continue to manage Kennedy once operational, through Windlab Asset Management. The company said the project would be built under a joint construction contract managed by Vestas and Quanta and was expected to be fully operational before the end of 2018. Located about 17km south-east of Hughenden, the project is forecast to create more than 100 local jobs during construction. 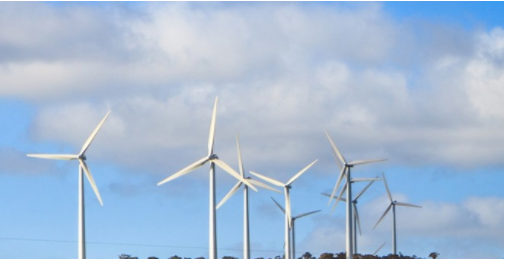 Kennedy Energy Park will be the first wind, solar and storage hybrid generator connected to the Australian national electricity network via a single connection point. It will consist of 43.2MW wind generation, 15MW AC single-axis-tracking solar and 4MWh of Li Ion battery storage. The project will use twelve Vestas V136, 3.6MW turbines at a hub height of 132m - the largest wind turbines yet to be deployed in Australia. The Li Ion storage will be provided by Tesla. “We believe Kennedy Energy Park will demonstrate how effectively wind, solar and storage can be combined to provide low-cost, reliable and clean energy for Australia’s future,” Windlab executive chairman and chief executive officer Roger Price said. “The broader adoption of projects like Kennedy can address the recommendations of the Finkel review and ensure that Australia can more than meet its Paris Commitments while putting downward pressure on energy prices”. Project equity will be provided equally by Windlab and Eurus Energy. The Clean Energy Finance Corporation (CEFC) will provide $93.5 million of debt finance to the project on a long tenure basis which will be non-recourse to Windlab. The Australian Renewable Energy Agency (ARENA) will also provide $18 million in the form of a sub-ordinated refundable grant. The project is expected to precede a much larger second phase dubbed ‘Big Kennedy’ - a $2 billion-plus 1200MW solar and wind farm, due to commence in 2019. “The second phase of Kennedy, phase II or “Big Kennedy” as we like to call it, is 100 per cent owned by Windlab and will provide up to 1200MW of wind energy, critical in balancing the large amounts of solar generation that will be connected to the Queensland grid as it moves toward 50 per cent renewable energy capacity,” Mr Price said. ARENA chief executive officer Ivor Frischknecht said the Kennedy Energy Park site enjoyed one of the best and largest wind resources in Australia, alongside one of the best solar sites.